Even the stars of the stage and screen have their own demons. Philip Seymour Hoffman was recently found dead in his apartment with a needle in his arm. According to more recent reports, heroin and cocaine are suspect in the actor’s death. Police found bags of heroin in the home, marked with the Ace of Hearts and the Ace of Spades, as well as cocaine on Hoffman’s person. 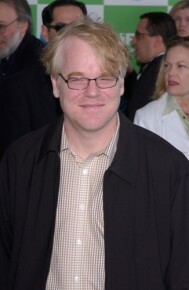 Now, officials believe Hoffman suffered from a multiple drug addiction and that his death was a rare, immediate circumstance. 1) To avoid emotional lows – Addicts who come down from cocaine binges are often regretting their decision to take cocaine. The high amount of drugs put into the system bring the person lower than before they started the drug when it is filtered out of the system. 2) To maintain a high – Cocaine is plant-based and it is processed very quickly. Binging is the only way people on cocaine can maintain a high. After two hours, their high would be finished. 3) Peer Pressure – People who go on binges often go in groups. If one person is skeptical about using, the group activity might give them the extra push to start. 4) Environmental Pressure – The circumstances of a person’s environment might beat them down and drive them toward a different lifestyle. This could be true of lower economic homes or higher, upper-middle income homes where there is little in the town to offer a person seeking adventure. Drugs can become a problem in any environment. 5) To Escape Emotional Issues in Life – Obviously, people seeking an out from the stresses of their life will look for things that make them happy. The high cocaine produces can be that outlet for a person seeking good feelings. The heroin epidemic has recently bloomed in suburban areas. The drug is no longer just an urban problem, as suburban reports have come up with heroin taking over their communities. Prescription drugs have become the number one problem in America. Doctor shopping is one of the most common felonies and people addicted to opiates have pursued a substitute when prices of drugs rose in pharmacies. That substitute was heroin. There are many opioids that are prescribed as painkillers, such as Vicodin and Oxycodone. Heroin is also an opiate and reacts like many painkillers. In this way, prescription drugs have contributed to the major problem of abuse. Heroin is a psychoactive drug that gives the user a high, causing an overstimulation of the areas of the brain that produce dopamine. People who receive heroin from a dealer are placing their lives as there is no consistency about what the drug is laced with. Many people who think they are getting heroin are actually getting heroin condensed with caffeine or sugar or baking soda. The most dangerous is when they have consistently been receiving diluted heroin and then get ahold of a pure set. Their bodies are not used to that much of the drug and they overdose. This has proven to be a major problem in all areas of the country.